> Wooden Surfboards>Kun_tiqi Balsa Surfboard "Egg"
Kun_tiqi`s sustainable Balsa Wood Eggs are handcrafted by experienced shapers in a labour intensive way. Kun­_tiqi´s ecological Balsa wood Surfboards are handcrafted by experienced shapers in a labour intensive way with sustainable balsa wood. Most of the imported materials are renewable by using 100% balsa wood blanks and vegetal oil based resin. Due to this the surfing community can make their contribution to preserve our planet by surfing this sustainable wooden surfboards. This classic Egg shape gives you the chance to get the glide feeling on a small board with easy turns. It has perfect glide abilities, feels smooth in turns and is assigned by easy paddling and wave catching. The Egg gives you a bench of trimming possibilities with the center fin box for bigger fins and two future fin boxes for side fins. This Surfboard is also as 5 fin setup available. Please contact us for further information. 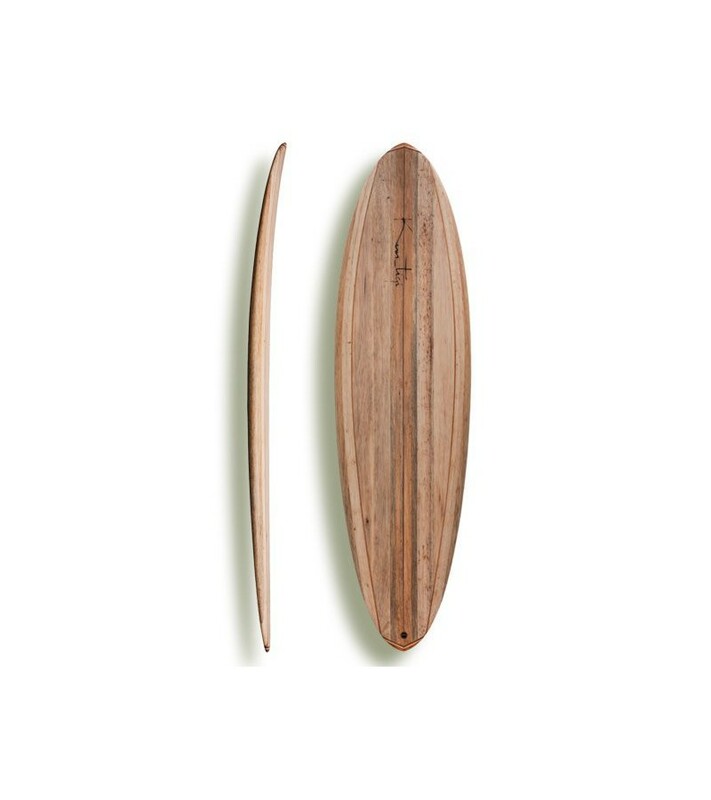 This Balsa Evolutive Surfboard comes with a bio plastic vented leash plug and three Future Fin Plugs.